And another one bites the dust! But what a year it has been, with some of the best birding of my life, some sweeping changes on the personal side, and several months of build up for the up coming year. 2017 has provided me with some interesting perspective, not only in the person I have become, but in the goals that I have now aspired to reach. I have never been much of a “New Year’s Resolution” kind of guy. Much more of a let the chips fall where they will and move on, but 2017, and little bit of my advancing age, have put many things in a sharper bit of clarity. Age, I have found is all relative. It is nothing more than a date on a calendar, one that I have chosen to ignore for the most part, and so I will hope to keep that blissful bit of denial for as long as I can. With that in mind though, we have decided to pack it all in, and start to check a few things off the bucket list. A quick trip around the planet for starts, is going to kick off our 2018. Untold numbers of bird species await me in each new continent, and an amazing adventure no matter where we are. With that said, it is now time to put 2017 to bed. I have perused thru my list of this year’s birds, hoping to narrow it down to my favorite 10. This was not an easy task, but below I will present my personal favorites. Submitting my brief glimpses into the beautiful birds of Mexico on 10,000 Birds has given me a great appreciation for not only the phenomenal birds that can be found all over this amazing planet, but the depth of knowledge and writing skills to be found here in this talent group of beat writers. There have been times when I have felt like I am swimming in the deep end of the pool, only to be encouraged, and supported at every step by this amazing collection of people. For that, I thank each and every one of you! So, I humbling submit the following as my “Top Ten” birds of 2017. Some of these birds are probably very common to whatever area you might call your Patch, but each one has a special meaning to me. Thank you for following along, and I hope that 2018 finds all of you in great health, tremendous prosperity, and may as many birds as you could hope for, cross your path at just the right time! This has become the image of the year for me. Like many of my photos, the bird that is captured is only a small part of the story. The relatively long, arduous drive up into the Serra De La Lagunas Biosphere to Santa Rita, followed by a fair hike up thru the boulder strewn canyon, to find these small hidden pools, that would serve as a respite for my wife and I during the heat of a La Paz summer day. This pair of Least Grebes was an incredible bonus, and the image turned into my favorite of the year! Last summer’s travels brought me to Hart Mountain National Antelope Refuge in south central Oregon. 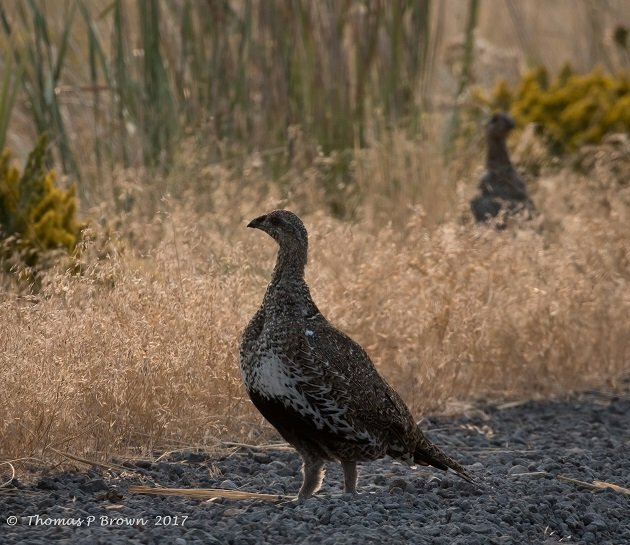 My biggest goal was to be able to find some Greater Sage Grouse, and if the all worked out, to capture a couple with the camera. Just at sunrise, three birds walked right out on the road in front of me. I would preferred them to not be quite so back lite, but I had traveled 3000 miles to find them, so I that fact that I got to even see some was amazing, a decent photograph was just icing on the cake. For as long as I can remember, birding for me has been all about the photograph, but 2017 has given me a whole new perspective. I invited myself along on a panga, full of fishermen, who were traveling out to the Abajo Sea Mound, 40 some miles off shore from La Paz. 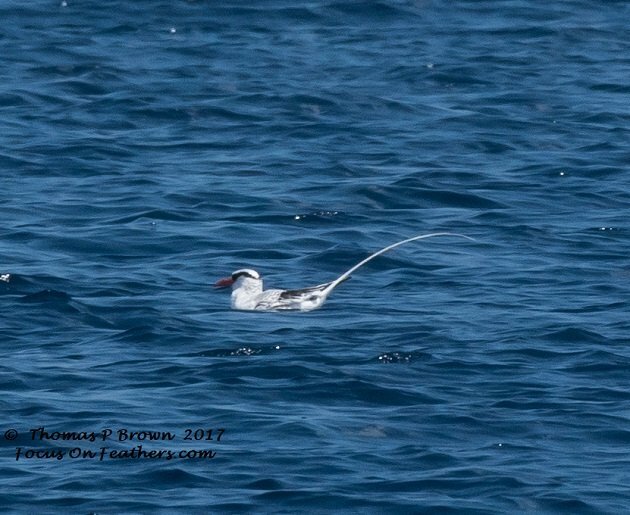 The whole trip for me was all about the Red-billed Tropic Birds that had been spotted by another boater that is mildly interested in birds. This image was taken at nearly 25 MPH, and a bit bouncy, but it turned out good enough for a solid identification. 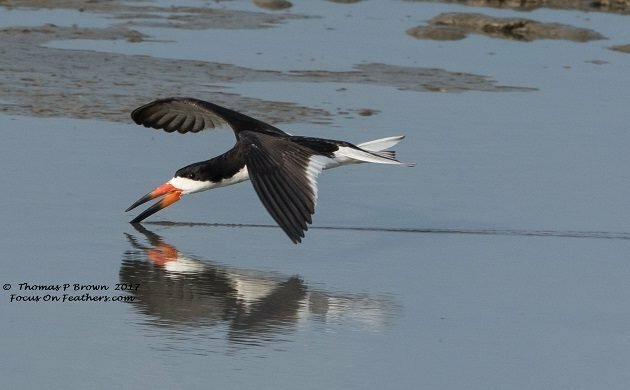 While I got the photo, I was so excited to just be able to find this bird, out in the middle of a huge body of water that the Sea of Cortez. 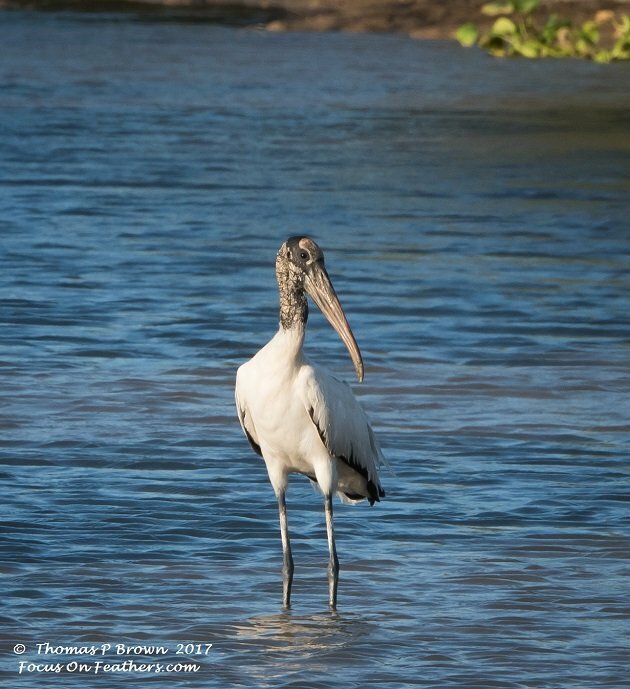 2017’s early migrants brought to La Paz a very unique bird, a Wood Stork. Rumors of its arrival spread like wild fire through the birding community, and so I went out in search. Four days I cruised the areas, but in vain. Finally, on the day that I told myself (and my wife) that I would give up this nonsense, it arrived at a small seasonal pond that I frequent. Many photos were taken, and joy was to be found on in our household! 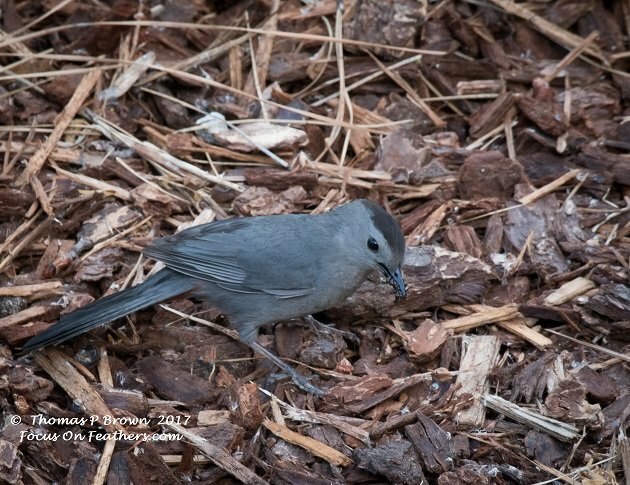 One of those species that I am sure would not make this list for many of you is the Gray Catbird. For me, this bird was a new lifer, and a complete surprise from my trip thru the eastern part Washington State. This one visited the back yard of the house we had rented. To be honest, I am not really sure why it is held in such high esteem, but well, there it is! 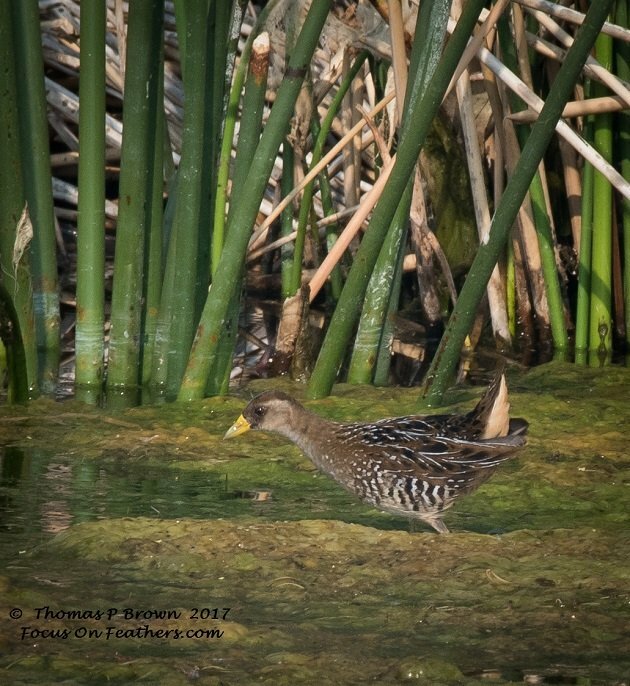 The secretive Sora, a bird that frequents the cattails and reedy marsh areas of almost all of the US, has been such a difficult subject to photograph. For years I would see a tail, a bit of a wing patch, but never a whole bird, at least when I had a camera at the ready. 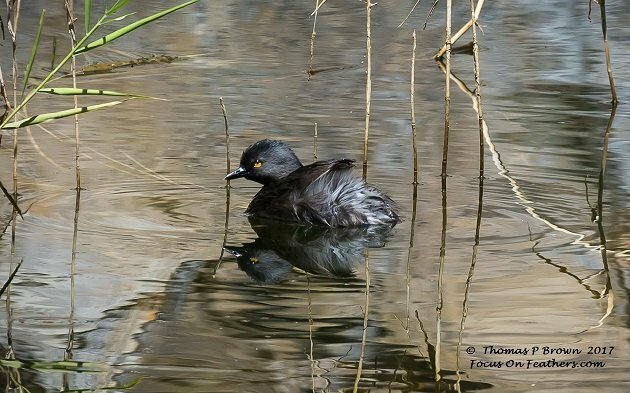 This year at Summer Lake Wildlife Refuge in central Oregon, this lovely bird walked right out in from of my camera! Whenever I do my eBird.org report, there are a few local species that always come up as a “rare bird” that require some form of explanation. 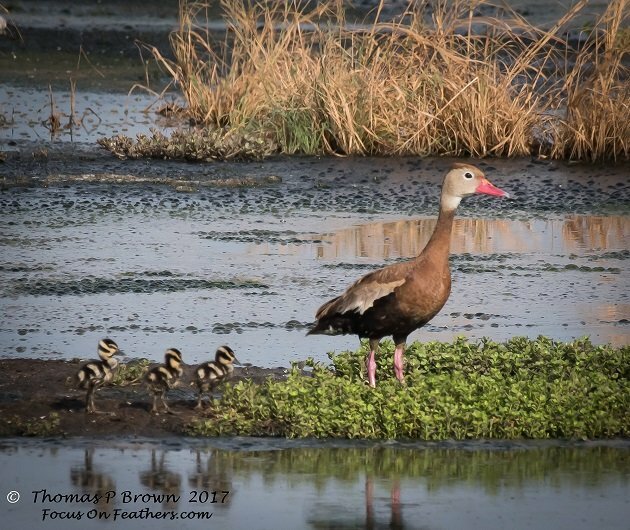 The very large numbers of White-faced Ibis (well over 200), same with the Black-necked Stilts (150-175 every day), American White Pelicans and my favorite, the Black-bellied Whistling Ducks all fall in this category. These birds are year round residents, who provide some great viewing whenever I am showing them off to guests. For the first time in 5 years I was able to capture the BBWD’s with some babies! Aren’t they just the cutest things ever? Central Oregon also provided me with a perennial favorite from my childhood. 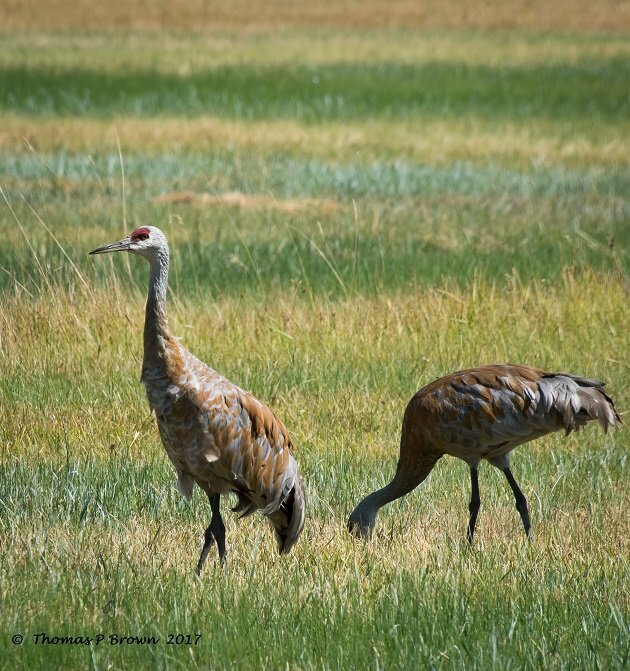 I grew up with the raucous calls of the Sandhill Cranes as they migrated thru Central Oregon. I had not seen one for nearly 20 years, so I was thrilled to find them again while visiting my home town of Lakeview Oregon. It seems like every time I make a trip to Guadalajara, Mexico, something fun or new pops up. 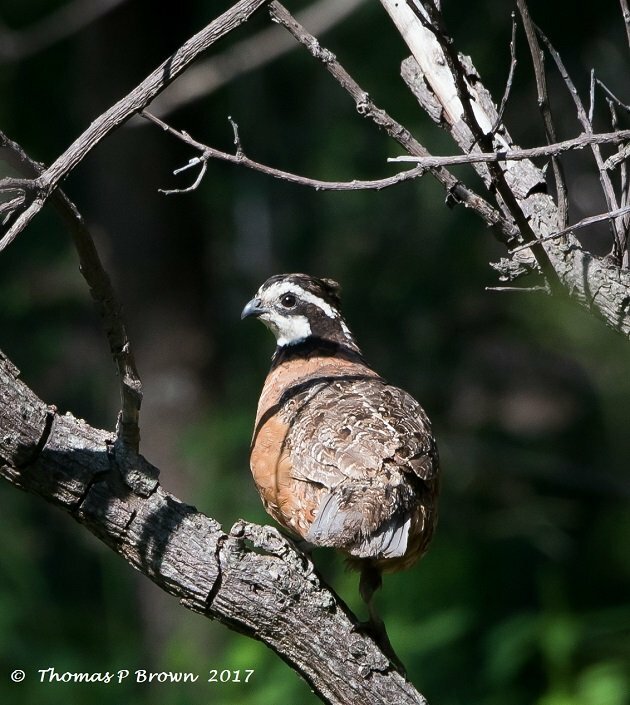 On my last trip over there this fall, it was a Bobwhite Quail, squawking to top of its voice range in the middle of a small clearing served as this trips new revelation. 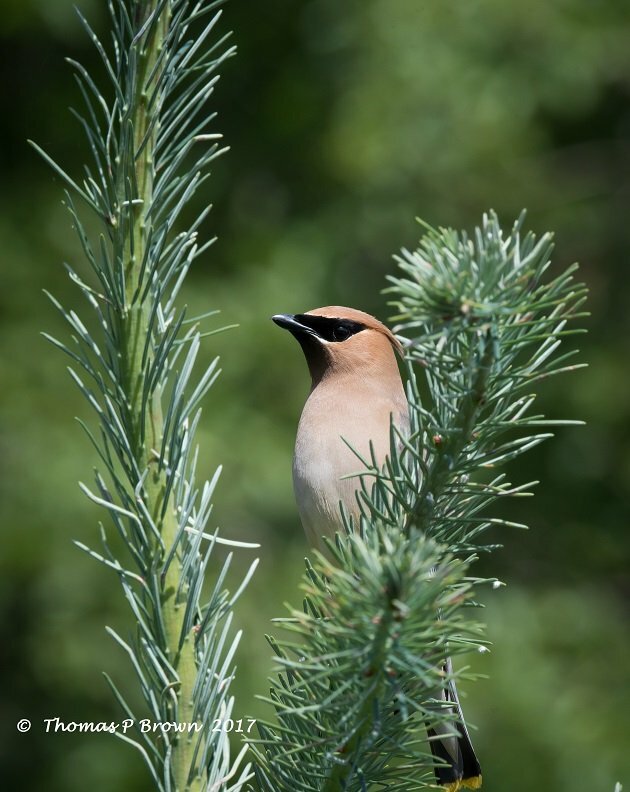 Another bird that would probably not fall on anybody’s list, if you lived in the US would be the Cedar Waxwing. These birds were found in an area just south of Seattle, and served as a beautiful reminder of one of my all-time favorites, especially from my time in college in Eugene, Oregon. Graceful, photogenic, what more could you ask from in a bird to photograph. Awesome photos, Tom, and the stories behind them, particularly the Greater Sage Grouse. Looking forward to reading about your travels! Thank you very much Donna! There was a pretty substantial emotion investment in that species, so I was almost giddy to get to see them. I hope you have a wonderful New Year!